Rewards Canada: January 20 Update: Fairmont Waterfront promo for BC/AB residents, American AAdvantage Transatlantic bonus and more! 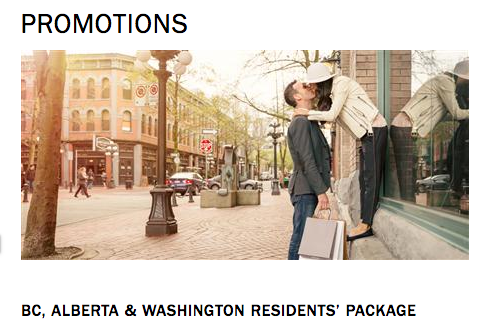 January 20 Update: Fairmont Waterfront promo for BC/AB residents, American AAdvantage Transatlantic bonus and more! We'll give you some links to some of our tips today as these tend to be forgotten about! In the bonus offer section check out the new bonus for flying American Airlines, British Airways, Iberia or Finnair between North America and Europe. You can earn up to 20,000 Bonus AAdvantage Miles for each round trip. B.C. and Alberta residents can save 20%, get free valet parking and a guaranteed room upgrade at the Fairmont Waterfront Vancouver! Offer valid until Mar 31. Find out more here.